Feedback - Scientific session CME part was appreciated. Feedback - Scientific session of CME was appreciated. Feedback:Scientific session of CME was appreciated. Venue: CIDCO Convention Centre,Vashi, Navi Mumbai. Venue: Hotel Sofitel BKC, Bandra (E), Mumbai. Webinar on Hyper Androgenism in PCOS. It is a pleasure to invite you to Focused one day conference on PCOS organized by "The PCOS Society" under the aegis of Ahmedabad obstetrics & Gynecological Society (AOGS). PCOS Society is a multidisciplinary national organization aimed at promoting knowledge and research on every aspect of PCOS in Indian women. 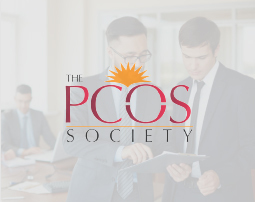 The Society aims at developing recommendations for the management of PCOS in India and educating the lay public. The PCOS Society launch was held in Mumbai on 6th August, 2015 and was attended by Prof. Dr. Anuja Dokras, President AE-PCOS Society, Prof. Dr. Duru Shah, Founder President PCOS Society, Prof. Dr. Rekha Sheth, Vice President, PCOS Society, Prof. Shashank Joshi, Vice President PCOS Society and many other eminent gynaecologists,endocrinologists, dermatologists and general physicians.